Making a Broadway history this Sunday at the famed New York’s Radio City Hall, Audra McDonald took home her sixth Tony Awards for her role as Billie Holiday in “Lady Day at Emerson’s bar and Grill”. Following her closely were Bryan Cranston and Neil Patrick Harris who managed to sweep up the top acting prizes at this year’s 68th Annual Tony Awards. Audra Macdonald, with all her best actress trophy in hand became the only actress in the history of Broadway to win the Tony Awards for all four categories in acting. She tied her place with the six consecutive wins along with the late actress Julie Harris who also has a special lifetime achievement award to herself. This latest win for the best lead actress in the play made the 43 year old Audra McDonald the first glam slam performance winner in the history of Broadway. Prior to this, McDonald had the Best Featured Actress in a Play (for A Raisin in the Sun and the Master Class), Best Lead Actress in a musical (The Gershwin’s’ Porgy and Bess) as well as the Best Featured Actress in a Musical ( Ragtime and Carousel) to her name. She is also a proud owner of two Grammy Awards. It was a moment of pride and pure magnificence as McDonald accepted her trophy with humble hands and tear stricken face. With a voice that trembled with emotion, McDonald didn’t hesitate to thank her parents, her family member as well as the woman who had come before her. Her speech also brought many spectators to tears. With a huge smile she announced that she wanted to thank all those brave and strong shoulders as well as the courageous women on who she was standing. She also gave a heartfelt thanks to Billy Holiday who she thought deserves so much more than what was received when he was on this earth. 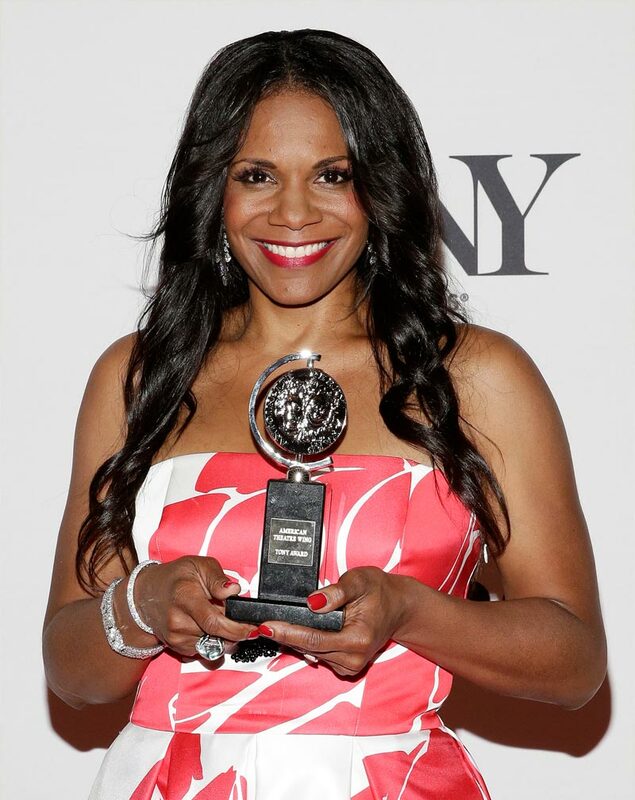 Audra McDonald has defeated Tyne Daly from ‘Mothers and Sons’, LaTanya Richardson Jackson form “A Raisin in the Sun”, Cherry Jones of the “Glass Managerie” and Estelle Parsons in the “Velocity of Autumns” to bag the Tony Awards to her name. Other than that, the top musical prize was bagged by “A Gentleman’s Guide to Love and Murder” and the best actress award was won by Jessie Mueller for her starring role in “Beautiful- The Carol King Musical”.